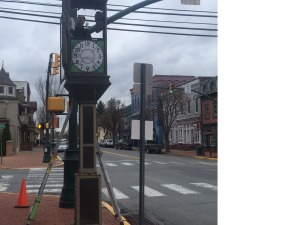 SELINSGROVE – The 100-year-old clock that’s stood in Selinsgrove will soon have a new look. Tuesday morning a crew from Ohio dismantled the stained glass and other parts of the clock. 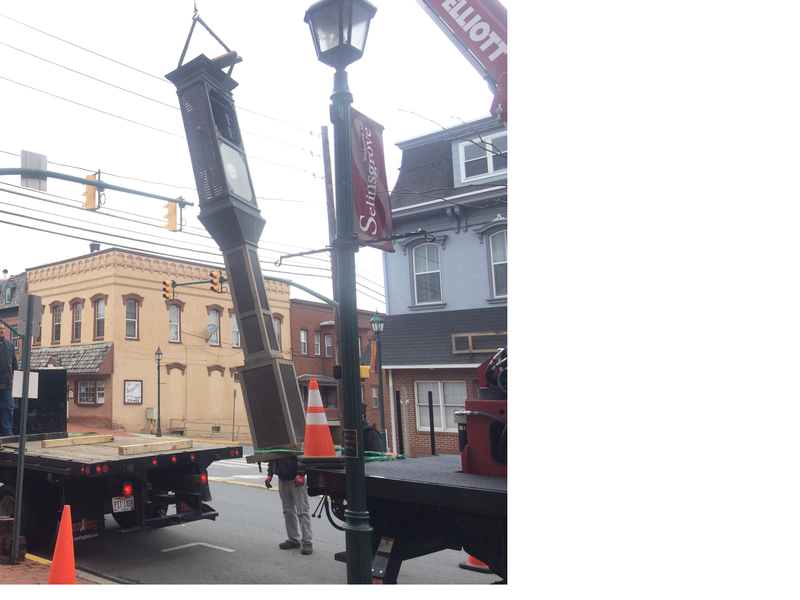 The clock was then lifted onto a flatbed truck to be transported to Ohio. Selinsgrove Projects Inc. is paying for the$27,000 restoration. 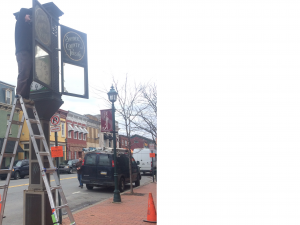 When the clock arrives in Ohio, crews will remove rust, refinish and paint the timepeice. 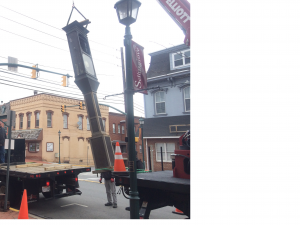 They will also relocate the chimes and the clock works from the top of the clock pedestal to the bottom. Work is expected to take up to 90 days. 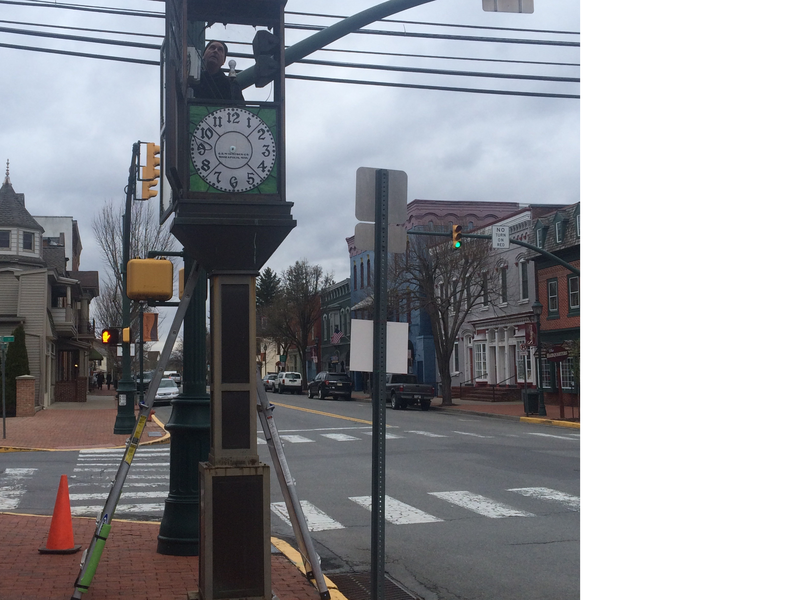 Parking was restricted in parts of Selinsgrove while the removal of the clock took place.